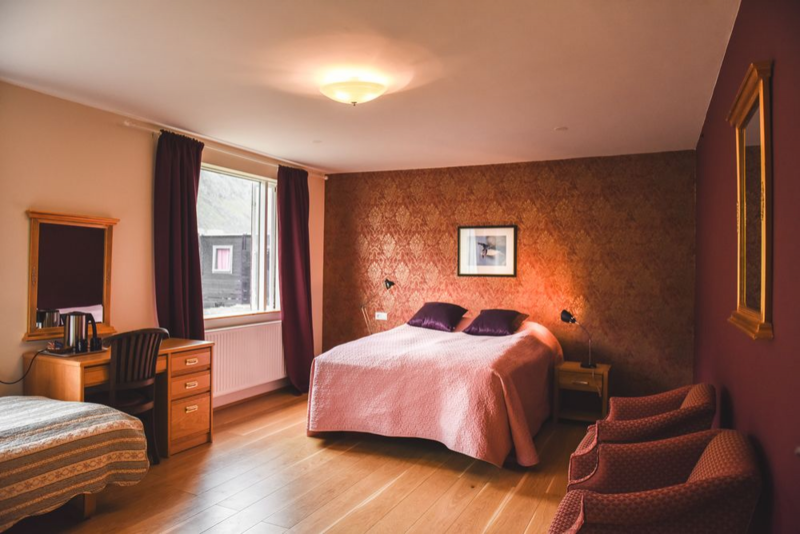 Hotel Látrabjarg has 5 Superior double rooms with an ocean view. Size 26m² – 29m². They all have a queen size double bed. All Superior rooms do have a stunning view to the Ocean and the Golden Beach 10 minutes’ walk away. 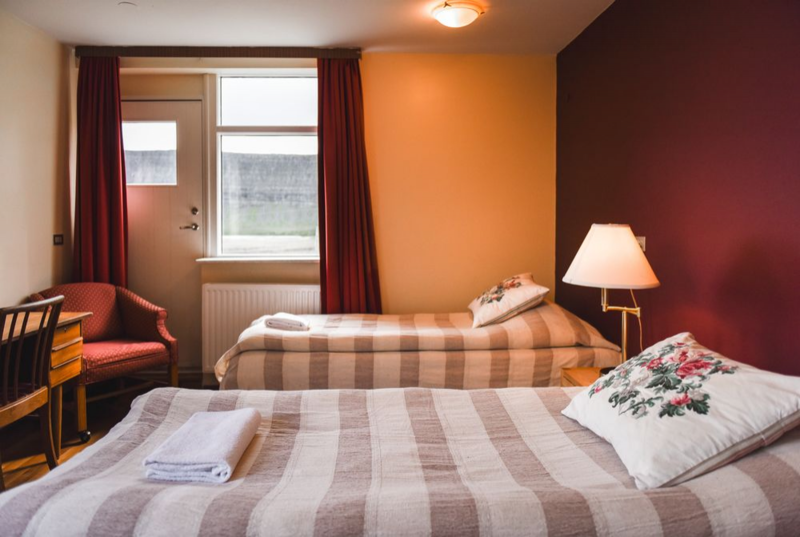 Superior rooms do also have view to beautiful Mountains. Occasional views of the Northern lights when visible. Bathroom is private with a fully tiled walk in shower. 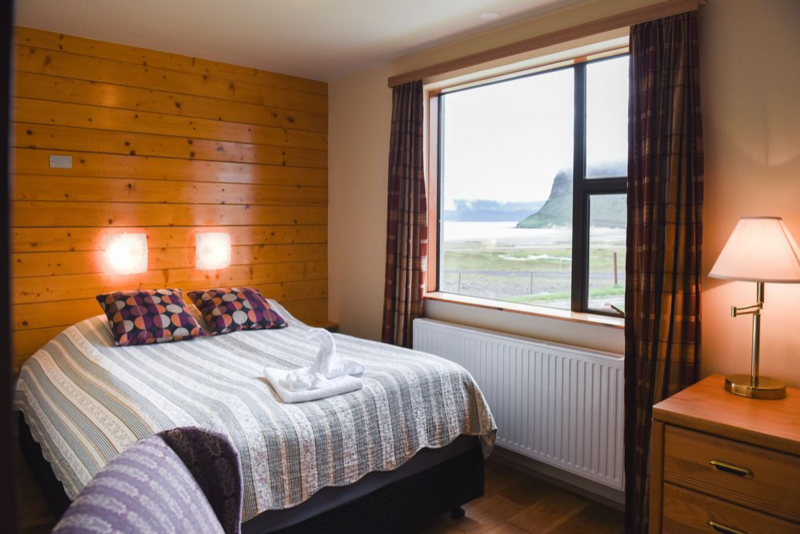 Hotel Látrabjarg has 5 Comfort double rooms with a Mountain view. Size 25m² – 28m². 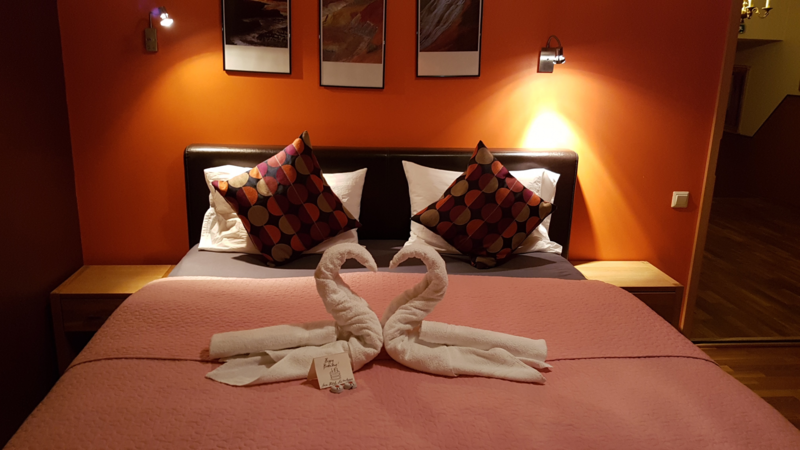 They either have a queen size double bed or twin single beds. Golden Beach is a 10 minutes’ walk away. Comfort rooms do have view to the Mountains. 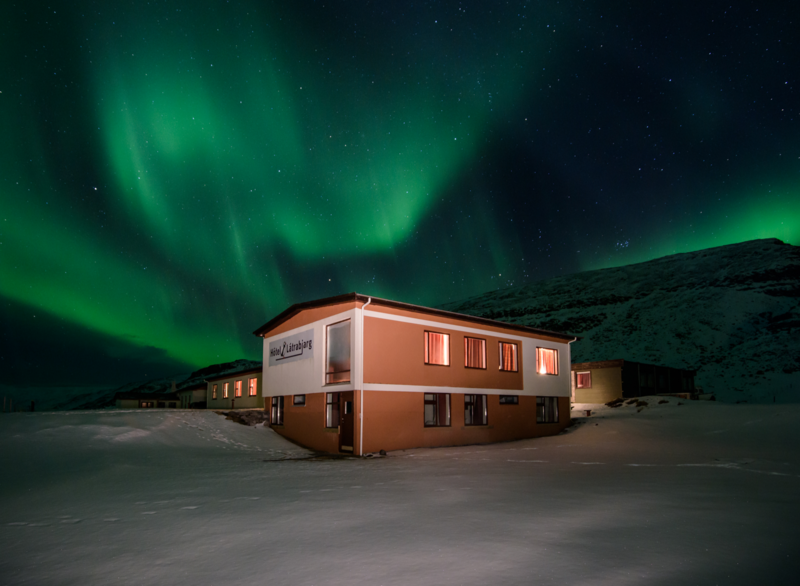 Occasional views of the Northern lights when visible. Bathroom is private with a fully tiled walk in shower. 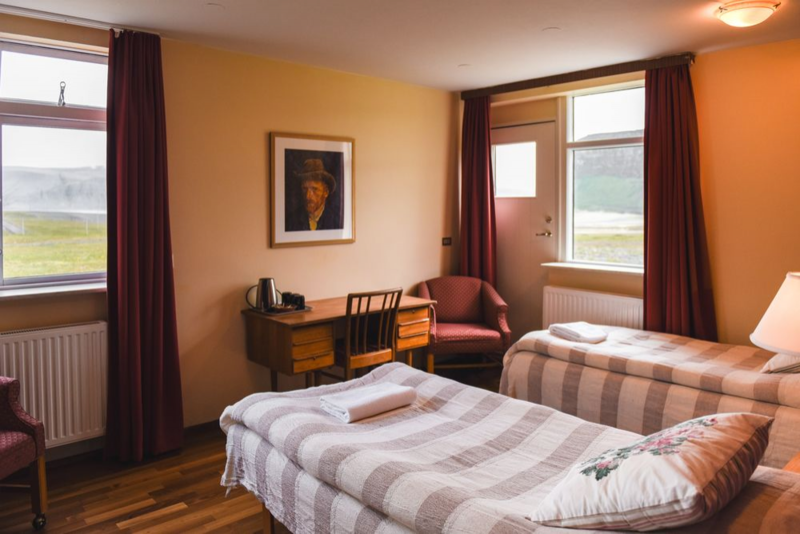 Hotel Látrabjarg has 1 Family Suite/ Quad Room with an ocean view. 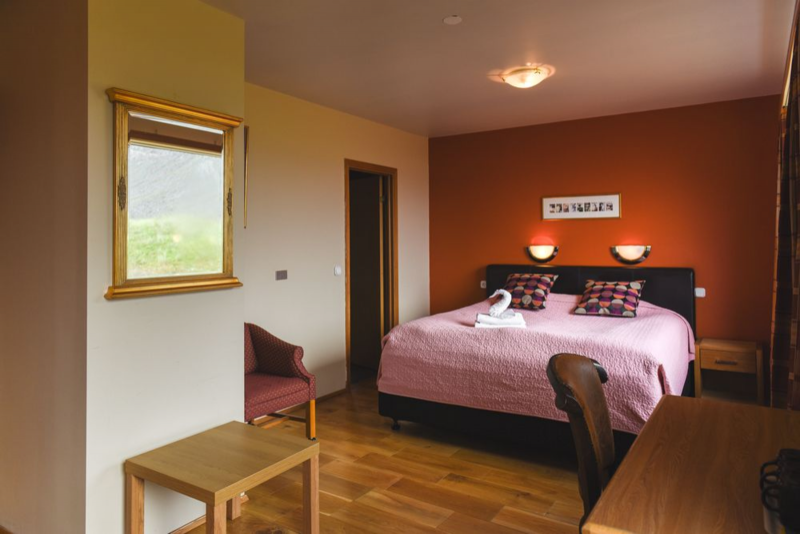 Size 35m² The Family Suite is ideal for a family of 2 adults and 2 children and consist of 2 adjoining rooms . Parents sleep separate from the children but still the family is inside a one Family unit. The Family Suite has a view to the Ocean and the Golden Beach 10 minutes’ walk away. It is on lower floor and has a special entrance from the garden. Bathroom is private with a fully tiled shower. 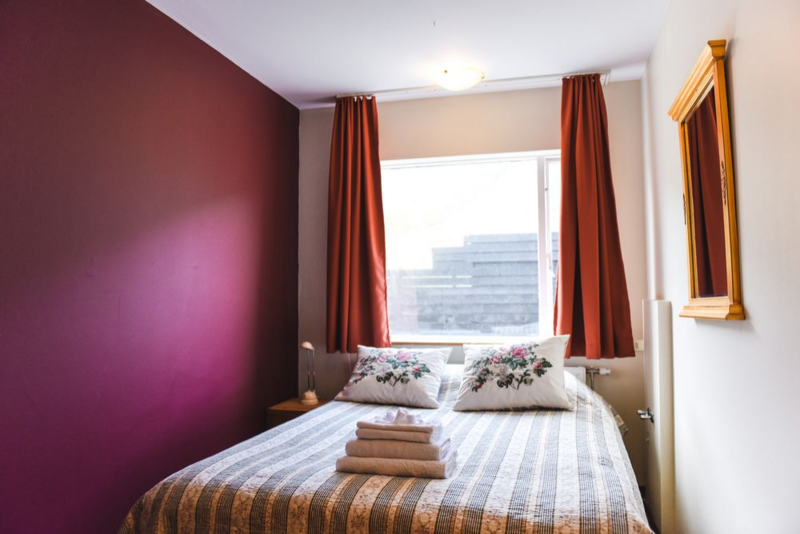 Hotel Látrabjarg has 1 Economy single room for the budget traveler Size 14m² It has a single bed for one person Golden Beach is a 10 minutes’ walk away. Bathroom is private with a fully tiled shower.